Petranovych, Vasyl [Петранович, Василь; Petranovyč, Vasyl’], b ca 1680 in Zhovkva, Galicia, d 12 August 1759 in Zhovkva. Painter, one of the important figures in the Zhovkva School of Artists. He was a viit of Zhovkva in 1727, 1731, 1736, and 1739, and a burmister in 1741, 1746, and 1752. Petranovych painted icons for the Basilian monasteries in Krasnopushcha, Vitsyn, Krekhiv (see Krekhiv Monastery), Zhovkva (see Zhovkva Monastery), and Pidhirtsi. He painted the iconostasis of the church in Vitsyn (fragments of the Theotokos and John the Baptist have been preserved); the iconostasis of Saint Nicholas’s Church in Buchach; the royal gate with a depiction of the Annunciation in the Good Friday Church in Krekhiv; and some icons in the Holy Trinity Church in Zhovkva. 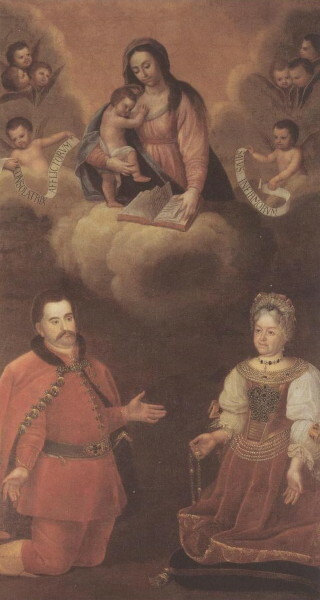 A number of works now in the Lviv Art Gallery have been attributed to him, including the icons Theotokos and Christ's Childhood, portraits of W. and S. Rzewuski, Ferenz Rákóczi and Ilona Zriny before the Mother of God, and Crown Prince James with His Patron Saint, James.